With their approval Tuesday evening of the sale of 3.6 acres with a purchase option on another 4.36 acres, the Lockhart City Council has officially sold or committed all but six acres of the property in the Industrial Park. tor Sandra Mauldin on Tuesday after the council approved a real estate deal with incoming furniture company American Pew. She noted that city officials have spoken with a variety of companies, and receive more than 40 requests per year for industrial properties with existing structures. She continued, saying the contacts she has worked with are drawn to an “industrial park” situation, because investors, developers and businesses are familiar with that kind of setup and know what to expect during development. “There is more development on the way, and Lockhart is not going to be ready for that development with six acres of land left in our Industrial Park and no existing structures,” she said. City Manager Vance Rodgers assured the council that he and his staff are researching potential properties for the city to purchase to either expand or enhance the Industrial Park. According to Mayor James “Jimmy” Bertram, the businesses that have committed to build in the Industrial Park promise to bring more than 225 jobs to Lockhart over the next five years. In related news, the city received a letter of intent from American Pew, LLC for the purchase of 3.6 acres in the Industrial Park, with a request for an option to purchase another 4.3 acres within the next thee years. According to Mauldin, the American Pew, LLC, intends to acquire the first parcel of land for approximately $94,200 and build a furniture manufacturing plant. Later, depending on the success of the venture, the owners of American Pew, LLC hope to acquire the second tract for the purpose of building a 60,000 sq. ft. storefront and warehouse. The council unanimously agreed to move forward with the transaction, provided certain terms of the purchase option can be made agreeable to both parties. Additionally, Mauldin requested, and the council approved, proceeds from the sales at the Lockhart Industrial Park, including the sale to American Pew, LLC, be set aside in a fund to be invested specifically in economic development projects. In other business, the Council approved two proposed interlocal agreements that will solidify the partnership between the City, Caldwell County and the Texas Department of Transportation (TxDOT) regarding the Wetlands Mitigation Site near the southwest corner of Plum Creek and Highway 183. For nearly a year, the City has been in negotiations with Caldwell County and TxDOT, attempting to hash out the finer points of the development and maintenance of the site. Under the current agreement, the 268-acre site will be jointly leased to the City of Lockhart and Caldwell County, with Caldwell County responsible for maintenance of the “Natural Area” and the city responsible for maintenance of the “Amenities Area,” which will include restroom facilities, parking lots, picnic tables and certain educational amenities. TxDOT has committed to invest $400,000 “seed money” in the project, which will be split equally between the city and the county. The panel also heard a presentation from Police Chief Mike Lummus regarding the Uniform Traffic Enforcement Policy being prepared by the police department. The department does not currently have a policy in place, and the proposal made by Lummus would set out specific rules for traffic enforcement. However, Lummus noted, if an officer chooses to write a ticket other than as set out in the enforcement policy, that officer will have to note the reasons on the ticket. The policy, which Lummus stated still must undergo some fine tuning, should be complete in the coming weeks, and will be made available for public information upon its completion. The Council approved changes to electric rates for residential and commercial customers. Under the current billing system, charges from LCRA for wholesale power are charged differently to different types of customers. The revised billing approved by the Council on Tuesday will equalize the rates, making the wholesale power cost a “true pass-through.” However, while it will result in a nearly 50 cent per 1000 kilowatt hour reduction in electric bills for residential customers, it will also mean a 40 cent per 1000 kilowatt hour increase for commercial customers. They also discussed entering an agreement with Caldwell County to pave County Roads 217 and 300, both of which were recently annexed, but which the County had committed to pave in the past. According to Rodgers, no agreement is set in stone, but he requested council approval to move forward in trying to strike a deal with the county. 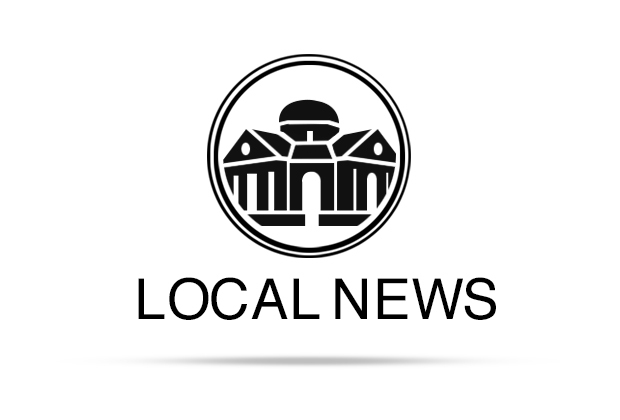 The Lockhart City Council meets on the first and third Tuesday of each month at 7:30 p.m. in the Glosserman Conference Room at Lockhart City Hall. Work sessions begin at 6:30 p.m. prior to the regular meetings. Meetings and work sessions are open to the public and are also televised on Time Warner Cable Channel 10. Another end-run around the Commissioners Court?